What? That? It’s Just a Box!! Do I miss the magic of the simple? Their technology was unbelievable. I mean after all, this was science fiction, right? I marveled as the doors to the bridge opened by themselves when someone approached, with nary a doorknob in sight. The crew wore a communicator on their chest. When they tapped it, they could talk to another member of the crew no matter where they were. They could speak to their computer, asking questions and giving directions, and the computer answered them – in a voice. They carried phaser guns that could render an enemy immobile with the touch of a finger. They had this cool gadget called a Tricorder that scanned an object and told them all about it. On and on it went, each episode filled with more and more magical gadgets. Well, the future is here. This morning, I stopped by the supermarket on my way to work to get some milk and Twinkies. As I approached the front doors, they opened automatically with a quiet whoosh! – and nary a doorknob in sight. As I walked in, I spoke to my iPhone and told it to call a friend for me. When asked, it also sent a text message for me. It also told me the weather forecast, the status of traffic on the route to work, and nutritional info about the Twinkies (and then advised me of the closest cardiologist) – all in a clear voice. I passed the health aisle and saw thermometers that can scan a person and give their temperature – without ever touching the skin. They were on sale for $19.95. Magic, Star Trek style for twenty bucks. And it doesn’t stop there. MIT found a way to use light to pick up, hold, and move objects on the surface of a microchip. This “tractor beam”, made of light, is known as “optical tweezers”. The Air Force has tested “transparent armor” made of aluminum oxynitride. And a company called Ionatron makes “directed energy weapons” which they call “man-made lightning”. Arthur Clarke said “Any sufficiently advanced technology is indistinguishable from magic”. Which is true. Which is a great description of the world we live in. But we have to keep our eyes, our hearts and our minds open. Because sometimes, we may become so enamored of the complex that we miss the magic of the simple. There are few things simpler than a box. But a simple box changed the world. Or rather, the use for the box changed the world. One man saw that vision. His name was Malcolm. He began his company with a single truck he bought for $120. With vision and hard work, he built his fledgling company into the second-largest trucking company in the United States, with over 1,700 trucks in his fleet. McLean Trucking became the first trucking company to ever be listed on the New York Stock Exchange. And at the heart of it all was the simple box. During WWII, trucks had been transported on ships. McLean got the idea to try it commercially. His first attempts weren’t exactly failures, but they weren’t efficient enough to make the business model work the way that he envisioned it. The problem was that the truck trailers wasted too much space when the entire chassis was loaded. So McLean stepped back. He saw the magic of the simple. Why not load only the trailers and not the entire chassis? Genius. Genius indeed. In 1956, as McLean was kicking around the idea of containerized freight, most cargo was loaded and unloaded by hand. Freight cost for ships which were hand-loaded by longshoremen was roughly $5.86 a ton. But with McLean’s idea of using containers, that cost was cut to only 16 cents a ton – a savings of over $5.70 per ton! And his simple approach revolutionized the shipping industry. 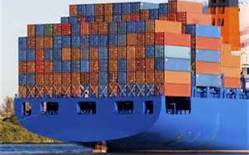 Today, containerized freight is shipped on trucks, trains, ships, and even planes. Heinz introduced clear packaging so its customers could see that the grated horseradish in the bottle was fresh. Furniture giant IKEA set the furniture world on its ear with “flat packaging” which facilitates easier handling and more efficient and cost-effective shipping. George de Mestral got the idea for velcro, or “hook and loop” while he was out walking his Irish pointer. He noticed that plant seeds always got caught in the dog’s fur. Upon closer examination, he realized that the seeds were stuck to the coat via microscopic loops. Free your mind. See the simple. What things am I missing because I am not focused on simplicity? This entry was posted on Thursday, January 31st, 2013 at 11:13 pm	and posted in Uncategorized. You can follow any responses to this entry through the RSS 2.0 feed. « What Am I Hiding? I really enjoy your insights Terry! Thank you for reminding me how easy it is to over complicate things!